Dr. Tietz is originally from New Prague, Minnesota. He attended St. John’s University where he earned his Bachelor of Arts in Natural Science and minored in Theology. As an undergraduate, he was an NCAA All-American and two-time Scholar All-American in wrestling. Upon graduation, he attended the University of Minnesota, School of Dentistry. After graduating from dental school, Dr. Tietz was commissioned as a Captain in the United States Air Force. While practicing and training among some of the Nation’s leading dental professionals in Oral Surgery, Endodontics, Periodontics, TMD and Prosthodontics, he expanded his dental base and received numerous awards for his various achievements. 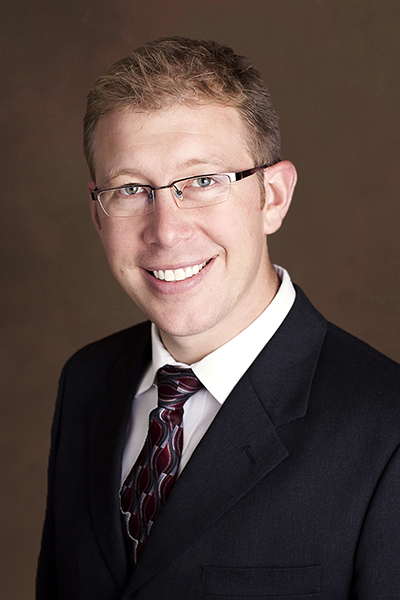 Dr. Tietz has been at Oakwood Dental since 2007. In 2015 he earned Fellowship status in The International Congress of Oral Implantologists (ICOI). Dr. Tietz enjoys the artistic element of dentistry, creating custom smiles for patients that are beautiful and functional in a comfortable and relaxing environment. Dr. Tietz believes that continuing education is a key to providing optimal patient care with the most advanced technology. He especially is interested in implant, sedation, and cosmetic dentistry in an environment that is calming and pain free. Dr. Tietz received his Oral Conscious Sedation permit from the Wisconsin Board of Dentistry after intensive training with the University of Minnesota School of Dentistry’s Oral Surgery Department as well as through The American Dental Society of Anesthesiology. His former and current affiliations include the American Dental Association, the Minnesota Dental Association, The Wisconsin Dental Association, The American Academy of Cosmetic Dentistry, The Academy of General Dentistry, The International Congress of Oral Implantologists, and The American Legion. When not at the office, Dr. Tietz enjoys spending time with his family, outdoor activities, fishing, hunting, hiking, sports and volunteering.